A new treatment can quickly and completely reverse the effects of the blood thinner dabigatran (Pradaxa) in patients suffering a brain bleed. LOS ANGELES: A new medication reverses the blood-thinning effects of the anticoagulant dabigatran in patients suffering a brain bleed, potentially limiting the extent of bleeding, according to research presented at the American Stroke Association’s International Stroke Conference 2016. Dabigitran is prescribed to people with atrial fibrillation to prevent blood clots from forming in the heart and travelling to the brain causing a stroke. Patients on blood-thinning drugs, such as dabigatran (Pradaxa), who suffer a type of bleeding that occurs inside the skull (intracranial hemorrhage) are at high risk of complications or disability. Idarucizumab (Praxbind) is an antibody that chemically binds and neutralizes the blood-thinning effects of dabigatran. An interim analysis of the first 90 patients in a study called RE-VERSE AD (REVERSal Effects of idarucizumab in patients on Active Dabigatran) showed that idarucizumab effectively reversed dabigatran’s anticoagulant effects, said Richard A. Bernstein, M.D., Ph.D., lead study author and director of the stroke program at Northwestern Memorial Hospital in Chicago, Illinois. 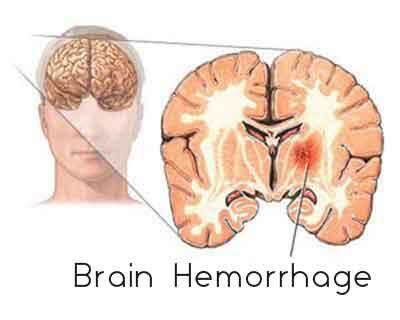 Bernstein presented the results of 90 brain hemorrhage patients enrolled in the . This included 11 men and seven women (average age 79). In patients who received two 2.5-gram of idarucizumab infusions in a 15-minute period, blood tests revealed that dabigatran’s blood-thinning effect was 100 percent reversed in all 18 patients with brain bleed. The new results are part of a large on-going phase III study testing idarucizumab in a range of patients who take dabigatran and have dangerous bleeding or need urgent surgery or other procedures that carry serious bleeding risks. Idarucizumab was approved by the U.S. Food and Drug Administration in October 2015 as the first medicine designed to reverse dabigatran. Researchers say before idarucizumab was available, patients on dabigatran who needed emergency surgery were given purified clotting factors, which carry the risk of patients’ clotting systems forming dangerous blood clots. “Idarucizumab gets rid of the dabigatran, but doesn’t seem to carry with it any tendency to increase clotting. This should make perioperative management easier and safer,” Bernstein said. Co-authors are Charles V. Pollack Jr., M.D. ; Jeffrey I. Weitz, M.D. ; Paul A. Reilly, Ph.D.; John Eikelboom, M.B.B.S., M.Sc. ; Menno V. Huisman, M.D., Ph.D.; Pieter W. Kamphuisen, M.D., Ph.D.; Jörg Kreuzer, M.D. ; Jerrold H. Levy, M.D. and Thorsten Steiner, M.D., Ph.D. Author disclosures are on the abstract. The study was funded by Boehringer Ingelheim. Praxbind and Pradaxa are both marketed by Boehringer Ingelheim of Ridgefield, Connecticut. Dabigartan is dangerous in patients over 60 years of age. The age old warfarin I feel is a better option.